Geocachers of GP: This event has long exceeded it's "sell by" date! Thank you to everyone who attended. It was a great event and thoroughly enjoyed by all attendees. The venue deserves a special mention as it was perfect! We didn't reach our hopeful 500 Will Attends nor attended geocachers, but we learnt a lot from this exercise. A.K.A. 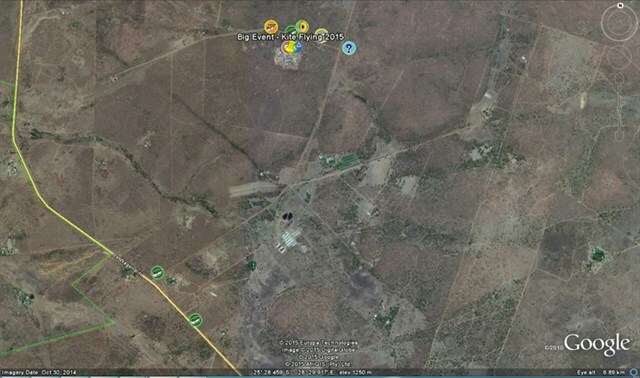 BIG GEOCACHING BASH IN THE BUSH! Please join us to make this a most memorable occasion. 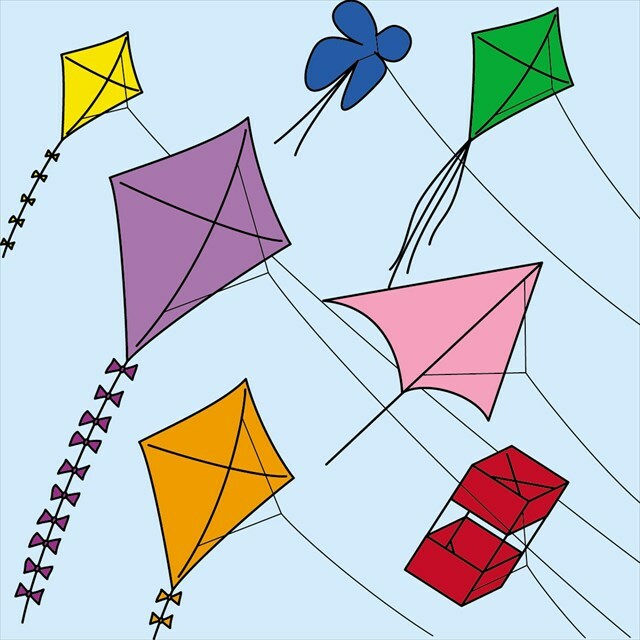 Bring along a kite or make your own kite and come a fly it with us! Every year on the third Saturday of August, Geocaching.com marks this day as International Geocaching Day to celebrate geocaching all over the world. Groundspeak have their annual Block Party on this day and this year will mark their last Block Party. Every year South African Geocachers also celebrate this day with various events across the country. This event is planned for ALL Gautengers, as well as any other geocacher visiting from far and near. We would love you to join in on a KITE FLYING competition (don't worry it is a fun thing), in the open field. 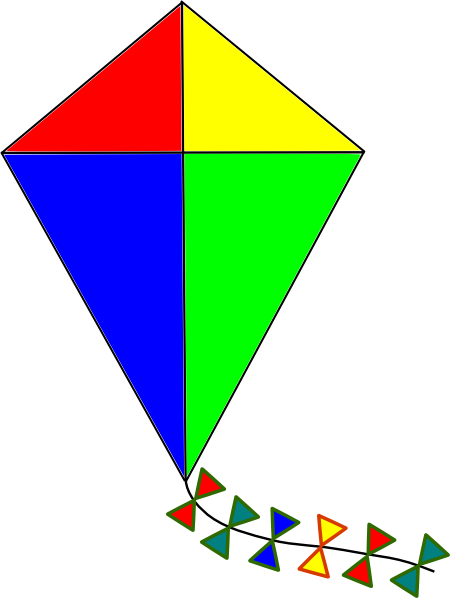 Bring along a kite that you have, or better, bring along material to make a kite with your family. We'll then give the beautiful geocaching kites a go and see which one flies the longest. This is just for fun and it is an opportunity to do something interesting and different with your children or significant other! As August is traditionally the windiest month, we look forward to watching all the creative kites fly together. Then when we get hungry, let's BRING AND BRAAI and relax in this special part of the bushveld. There are facilities to stay overnight, so bring along your camping gear and stay the night. There are also dormitory facilities available, should you wish to use one of the many beds available. 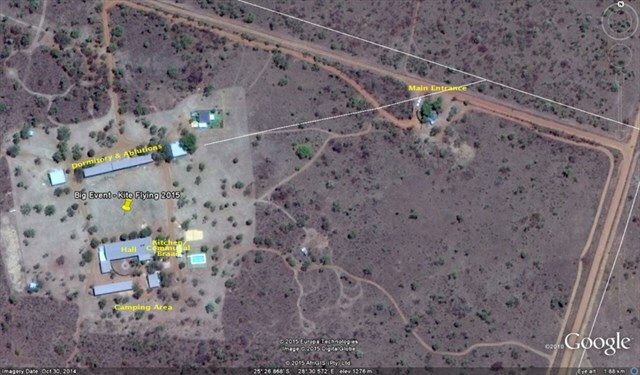 There are ample and clean ablution facilities, as well as sufficient communal braai and kitchen facilities. For those that are brave, there is a crystal blue swimming pool, as well as a volley ball court for entertainment. This is going to be an event to remember, a party of note! This Event will take place mainly on the Saturday, 15 August 2015 from 10h00 to 22h00. However, you can come on the Friday anytime from, 16h00 to 22h00 and you can also come on the Sunday anytime from 09h00 to 14h00. These hours are there to accommodate people travelling to the venue, as well as those at the venue, to be able to have sufficient time to have breakfast and prepare for the day. The idea of this event is to get as many geocachers and their families together to celebrate geocaching. The main event will be on the Saturday. We hope to have at least 600 attendees, so please log your Will Attend as soon as possible so that we can plan a great time! REMEMBER: This will also be a great opportunity to get the 15 Years of Geocaching SOUVENIRS if you are missing some, as well as the new one up for grabs from 14 August. If you are planning to stay overnight, you will arrive in the afternoon and set up your camp or prepare your bed in the dormitory. Chill out some more or pack up and go home. Costs - R60 per person per day or night. This fee covers the entrance fee into Dinokeng Nature Reserve. Please bring your own food, drink, camping chairs, tables, kites, kite making materials and geocaching cheer!